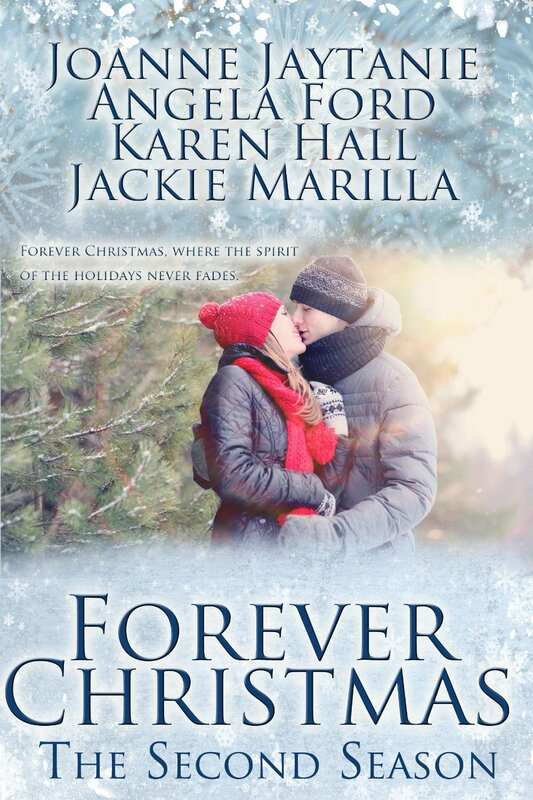 GENRE: Sweet Contemporary RomanceForever Christmas, where the spirit of the holidays never fades. Forever Christmas tree farm has grown in popularity, activities, and sales steadily for the first year. Juliet and her friends have hired a few new employees, but are still in need of more help. Juliet learns of a women’s shelter and their cutting program to place their women in an intern situation. This program is called, Life Bridge and it provides their women the opportunity to learn new skills while safely housed and totally separated from their past. The owners of the tree farm contact the shelter and four interns are assigned to the farm. 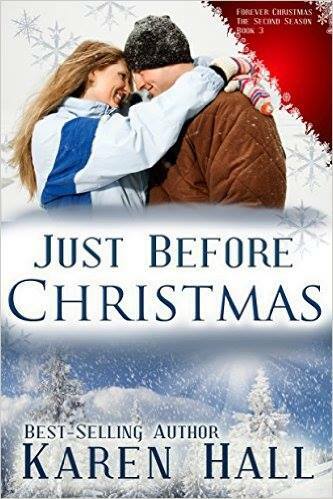 Visit Forever Christmas and follow Ivy, Noelle, Miranda, and Sadie as they discover their futures can surpass what they once believed possible. 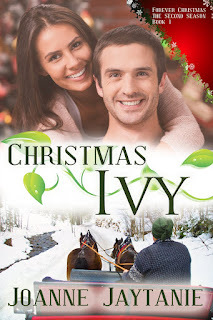 Ivy’s always been a part of Christmas; can this Ivy put down roots in Forever Christmas, where the spirit of the holidays never fades? Ivy Harper is a survivor. Deprived of college by a selfish mother and stuck in a dead-end job that can’t pay the bills, it’s the last straw when she finds herself a crime victim, too. Hoping for a new start, she flees to the big city, only to end up homeless. Her one chance is an intern program that offers a new life on a farm outside a small town. But can a farm job provide Ivy’s artistic soul the security and fulfillment she needs? Mason Weatherly is exhausted. A leading surgeon, ER doc, and specialist in internal medicine, Dr. Weatherly is in constant demand. Unfortunately his seventeen-hour days and long weeks mean he has no relationship or personal life. Frazzled and desperate for a break, Mason decides to visit his brother, Colton, before Colton settles down. Mason needs to discover for himself how a small town and a tree farm managed to tame his career-driven brother. Joanne was born and raised in Sherburne, New York, a quaint village surrounded by dairy farms and rolling hills. From the moment she could read she wanted to explore the world. During her college years she slowly crept across the country, stopping along the way in Oklahoma, California, and finally Washington State, which she now proudly calls home. She lives with her husband and Dobermans, in their home located on the Olympic Peninsula with a panoramic view of the Olympic Mountains. 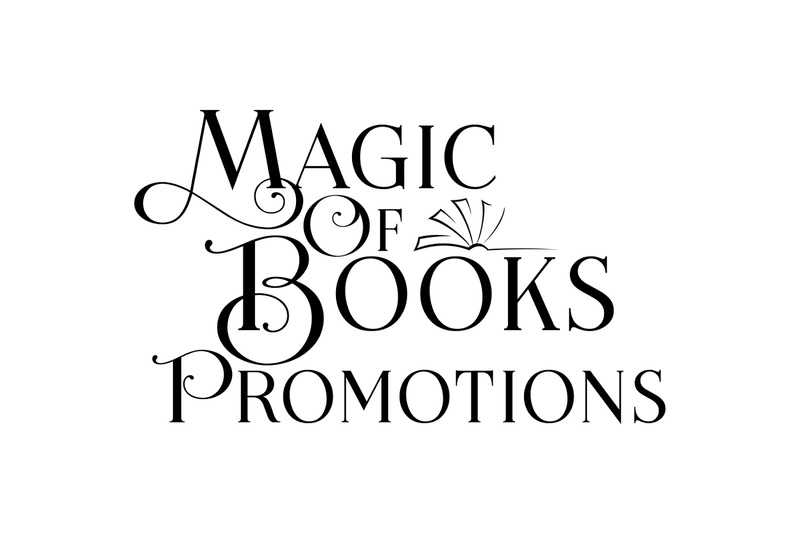 Joanne writes romantic suspense, paranormal, and contemporary romance. She loves to submerge herself in the world of her characters, to live and breathe their lives and marvel at their decisions and predicaments. 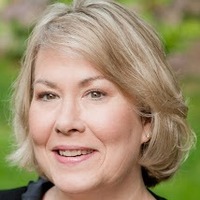 She enjoys a wide variety of books including paranormal, suspense, thriller, and of course romance. A small town where everyone knows everyone’s business prepares for the holiday season. It’s not just Noelle’s secret that places Annie and Noelle in harm’s way but a secret from within her own treasured town. 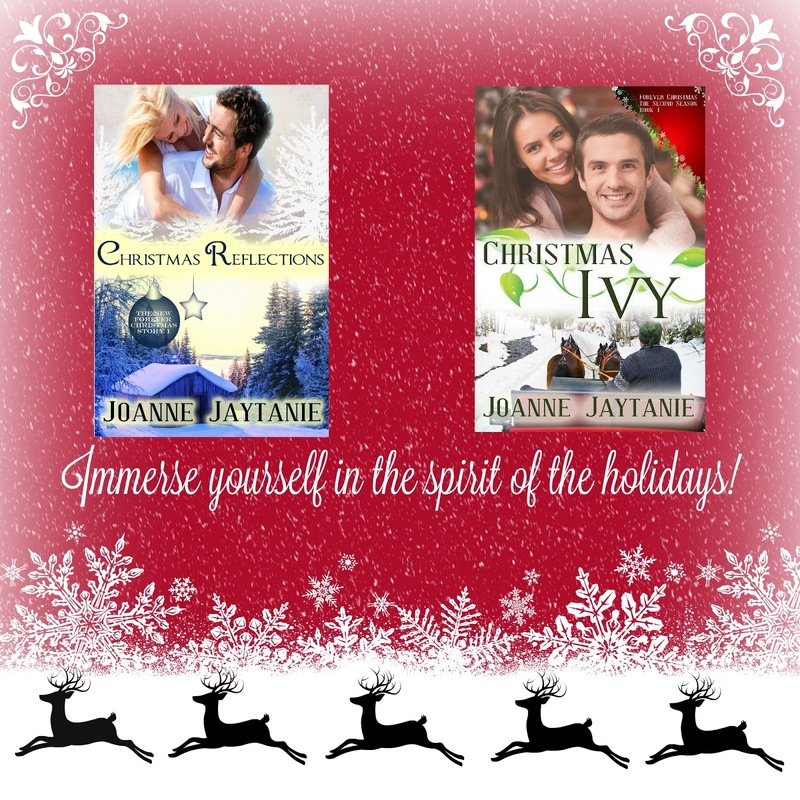 Will the town pull together for the holidays despite what secrets linger? Annie Dixon devised a plan with her friends the year before to buy the local tree farm. Her plan to entice Ryder Harris to stay in Glenville also worked. They just announced their ‘I do’s’. But with the busy holiday seasons ahead, Annie and her friends are swamped. They need help. The Life Bridge program is their answer. They will take on four women from a shelter in the city as interns and lodge them at the farm. Annie takes Noelle Matheson under her wing at the flower shop. Noelle has a hidden talent for flower arrangements but also a hidden secret that Annie wants to uncover. A sudden romance buds between Noelle and Annie’s childhood friend, Ashton Norris. Annie hopes Noelle’s secret won’t leave Ashton broken-hearted again. He told her he had one more stop for Colton and then would be on his way back but wanted to give her an update of his visit to the diner Noelle had worked at. “Did you find out anything?” Annie’s curiosity built up. She hoped she was wrong that Noelle had a deep dark secret. Especially now that she’d hooked up with Ashton; she didn’t want him to get hurt again. His fiancée did a number on him a couple of years ago. He hadn’t dated since. It had been the talk of the town until last year’s incident at the resort when Ryder arrested the resort’s manager for money laundering, along with his head of security. “Who else was looking for her?” Annie pulled out the stool and took a seat. This only proved her instincts were right about Noelle. Something wasn’t right. Ex-marine and ex-cop Joel Stinson has left his days of carrying a gun behind. Being hired to work security at a ski lodge seems easy enough and gives him a chance to put some old demons to rest as he awaits the coming of Christmas. When he meets a secretive beauty with a past working at the lodge, his cop instincts warn him to steer clear, but his heart is engaged by her shy smile. Can he risk sharing his past with her or will he be hitting the ski slopes this holiday season alone? Miranda Davis is tired of running and hiding and being afraid. Taking part in The Life Bridge program gives her a chance for a fresh start, and she vows to protect herself at all costs, especially since the police’s failure to do so left her scarred in more ways than one. But spending time with ex-cop Joel Stinson begins to put her at ease, and her fears for her safety and of the police, begin to vanish. Has she found safety-and maybe the chance to love-at last or will danger come calling, putting her on the run once more? Karen Hall makes her home in East Tennessee with Buddy and Febe, aka THEWONDERDOGS! When not writing romance, she works as a therapist, sings in her church choir and tries to keep the flower gardens tamed-a battle she too often loses. Sadie Wilden needs a fresh start, so when the women’s shelter administrator invites her to participate in a new program designed to safely house battered women and teach them a new job skill, she’s all in. If everything goes right, she’ll meet the social services requirements on time and be reunited with her baby—that is, if the police locate and arrest her ex. 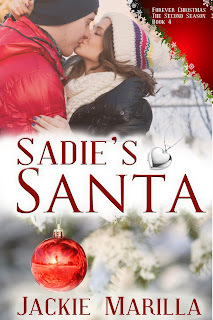 Sadie won’t put her daughter in harm’s way, no matter how much she misses her. She just has to lay low and do a good job at her new intern position. When Gus Sadler, an investigative reporter from Seattle, shows up at her workplace, Sadie’s leery of his intentions—after all, it was the media that leaked information that put her baby in harm’s way. Gus is drawn to Sadie right away, but he’ll have to work double time to earn her trust. Can he set aside his inclination to investigate her background or will he jeopardize his chances by digging into her past? Gus was quiet—too darned quiet. Sadie wondered if she’d done something wrong but she couldn’t think of anything. She really liked Gus, even if he was a reporter. “Wilden. Sadie Angelica Wilden.” There. She’d told him. Now to tell him the rest. She opened her mouth to speak, but when she felt Gus’ hand cup her chin, she leaned into him for the kind of kiss she’d waited for all night. 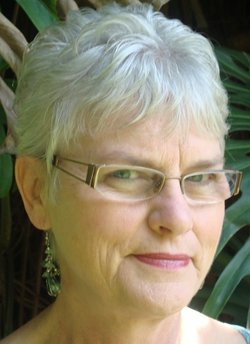 Jackie Marilla writes contemporary romance from the Hawaiian Islands and beyond. She and her husband live on a macadamia nut farm on the island of Hawai’i where they feed a clowder of cats and a flock of hodgepodge chickens. In a past life, she was an elementary school teacher.